Apple iPhone 5 / 5S is the hottest smart phone for business professionals. Slide your phone into a Genuine Cowhide Belth Holster for a perfect fit and protection on your phone. 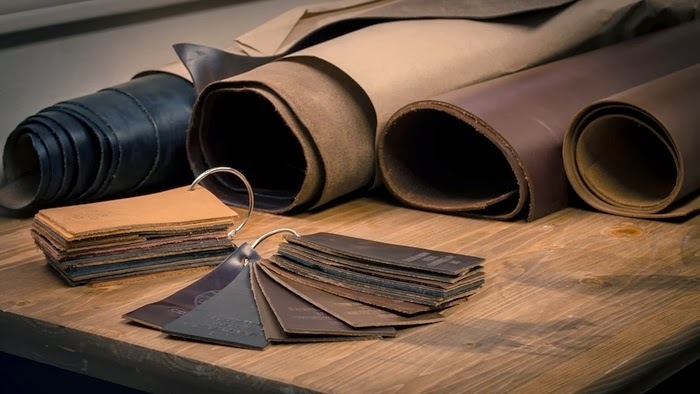 The Blacksmith-Labs leather holsters are crafted using full grain cowhide leather in the chestnut finish, with functionality and modern designs that stand out from the ordinary. 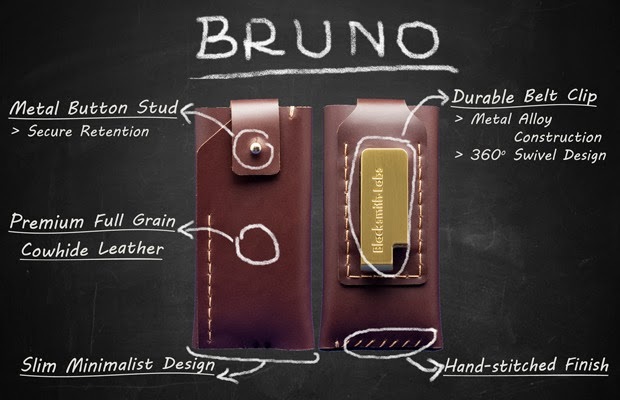 This premium grade leather holsters are designed and tailored specifically for the the iPhone 5/5S. All leather cases are handcrafted and by leather artisans. 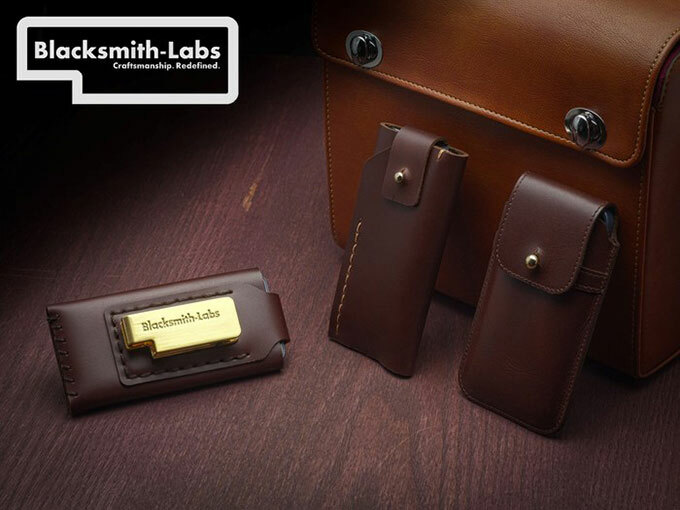 Blacksmith-Labs use the highest quality leather combined with the best stitch work to provide you with a premium quality leather case. The holster's main body is a one piece construction, hand-stitched piece of leather. This style has the slimmest profile with a minimalist look. The clip is breath-taking! Blacksmith-Labs had the great idea of using a metal clip instead of those breakable plastic clips. After launching Barrett and Bruno for iPhone 5/5s, Blacksmith-Labs will be working on making them available for Android smartphones, starting with the Samsung Galaxy S4. They will also be extending these two designs to larger dimensions to accommodate for smartphones wearing cases or bumpers. 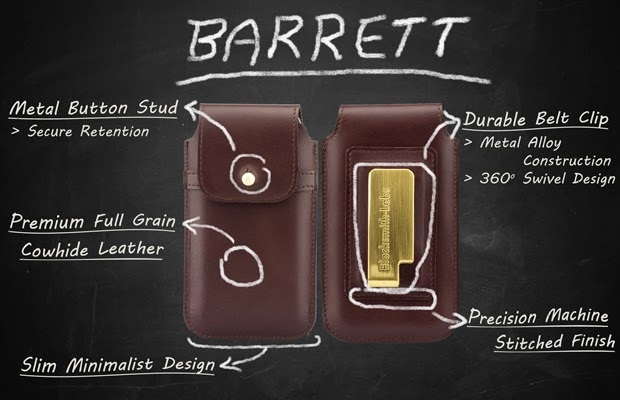 The Blacksmith-Labs brand is owned by Exati Technologies Inc. Their mission is to create the best smarthphone leather holster in the world, with unsurpassed craftmanship and unparalleled durability. Review your product with us! Creative Tech Reviews Copyright 2013-2014. Powered by Blogger.